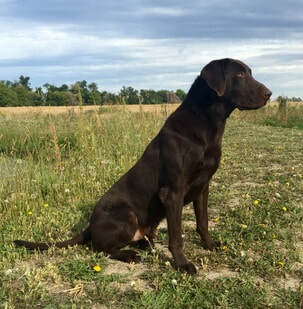 Ammo is a 55lb very athletic chocolate female. She has a ton of drive and is a rocket in the field. Ammo is one of the fastest dogs that we own, but at the same time she is very controlled. She loves to retrieve and is a dog that can hunt all day long. Ammo has great stamina in the field and works well with other dogs. She is good with children and other dogs, as she doesn't have an evil bone in her body. 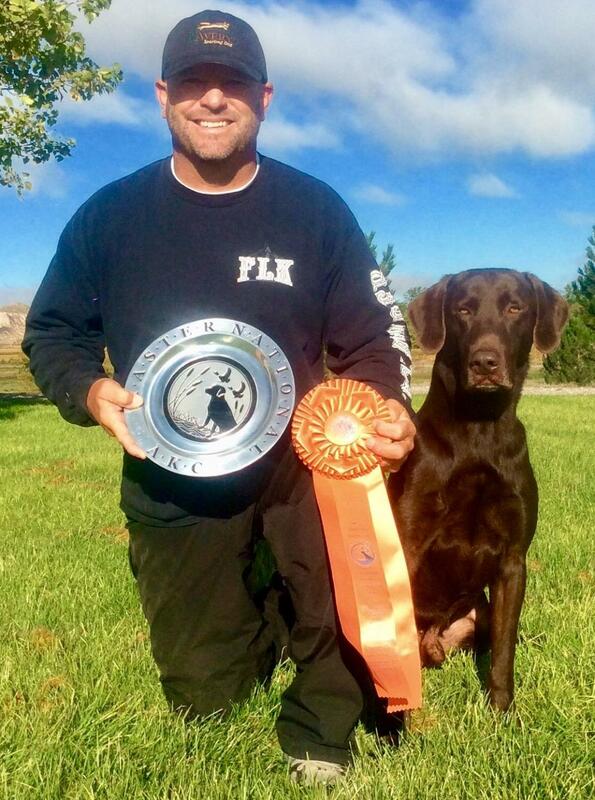 Ammo is a titled Junior Hunter in the AKC, comes from a fantastic proven bloodline and it shows in her natural talent. This litter between her and Diesel will be of exceptional quality.